Start off your February with new job opportunities throughout the U.S. and abroad! Access to Justice seeking Attorney with at least three years of post-grad experience! This position is located in the Access to Justice Initiative (ATJ). Established in 2010, ATJ serves as a catalyst within the Department of Justice to marshal the power and resources of the Federal Government to secure fair and efficient outcomes for all in the justice system, regardless of wealth or status. ATJ staff work within the Department of Justice, across federal agencies, and with state, local, tribal, and international justice system stakeholders to increase access to counsel and legal assistance and to improve the justice system for people who are unable to afford lawyers. The Attorney-Advisor works under the general supervision of the supervisor. The Attorney-Advisor and his/her supervisor develop a mutually acceptable project plan which typically identifies the work to be done, the scope of the project, and deadline for its completion. Within the parameters of the approved project plan, the Attorney-Advisor is responsible for planning and organizing the work, coordinating with staff and management personnel, and working with others both inside and outside ATJ as necessary to complete the work. The Attorney-Advisor is responsible for reporting problems to the supervisor and bringing any unanticipated issues to the supervisor’s attention. Completed projects, evaluations, reports or recommendations are reviewed by the supervisor for compatibility with organizational goals, guidelines, presentation, and effectiveness in achieving intended objectives. 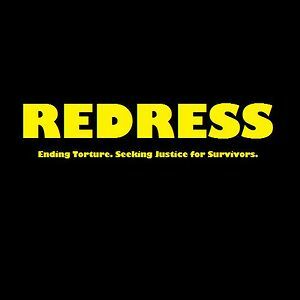 REDRESS is currently seeking applications from law graduates and LLM students with a strong background in international law to work on its International Criminal Court (ICC) programme. Due to the particular work of the ICC Programme, the Legal Intern working on the ICC Programme must have excellent written French. The legal intern will be based in The Hague and be hosted in the offices of the Coalition for the International Criminal Court. REDRESS legal interns working on the ICC Programme will work with REDRESS programme staff on a variety of assignments, including monitoring of victim-specific ICC jurisprudence in view of producing quasi-monthly “Legal Updates”, work on the Victims’ Rights Working Group Bulletin “ACCESS” published by REDRESS twice a year, background research for reports and submissions and other related projects. Also, the Hague based intern will also be tasked with attending relevant ICC and diplomatic meetings in The Hague and provide support to advocacy efforts. The Kitsap Prosecuting Attorney’s Office prosecutes all felonies and misdemeanors in Kitsap County, advise and represent all of the County’s elected officials and departments, provide legal advice to all county law enforcement agencies, establish and enforce child support obligations and provide victim and witness assistance services. For more information on crime victims, see our Crime Victims section, Frequently Asked Questions and Useful Links. In criminal matters, we represent the interests of the people of the State by ensuring that offenders within the county are timely charged with crimes that accurately reflect the offending conduct, and further, by taking all steps necessary to ensure that the conduct is appropriately punished. Our Civil Division acts as the law firm representing the County and its agencies. The Civil Division advises and represents all of the County’s elected officials and departments on legal matters. The range of legal representation provided by the Civil Division is expansive and covers virtually every aspect of civil law. The office is seeking 1L and 2L summer interns/externs. Applicants should email their resume, cover letter to Emily Jarchow at ejarchow@co.kitsap.wa.us. Applications reviewed on a rolling basis. FIAN International is currently looking for a trainee to assist in the development of the 2015 edition of the publication Right to Food and Nutrition Watch (hereinafter the Watch), published by a Consortium of twenty civil society organizations and social movements;and to support FIAN Internationalâ€™s Communications Team. The trainee will work full-time (40 hours/week) and be based at the International Secretariatâ€™s office in Heidelberg, Germany. The traineeship period is for one year, starting from 1 April, 2015. The Office of City Manager is looking for an Immigrant and Refugee Program Services Coordinator to provide outreach to Aurora’s immigrant and refugee community; serve as liaison between the City and Aurora Sister Cities International; coordinate participation in Immigrant/Refugee Task Force; serve as a liaison to the International Round table, assisting in the formulation of an annual work plan, producing meeting minutes, and generally staffing the Round table; serve as liaison to the Aurora Welcome Center;manage any MOU and/or service agreement between the City and the Center; assist in the coordination of City-wide translation services; assist in the planning and execution of Aurora Global Fest in coordination with the international community and appropriate city departments. The City of Seattle is launching a new Equity & Environment Initiative to advance racial and environmental equity in our community. The Office of Sustainability & Environment has created a new position, Equity & Environment Program Manager, to work with City departments and offices and community partners to move the needle on equity in Seattle’s environmental work. We are looking for someone who combines strong management, policy, and stakeholder engagement skills with experience working on racial equity and/or environmental justice. If you or someone you know matches this description, please encourage them to visit this link to learn more and apply. The posting is scheduled to close 2/17/15. The Tacoma Immigration Court has an opening for a Summer 2015 volunteer legal intern. The internship will entail in-depth research and analysis of novel legal issues, as well as preparation of legal memoranda for the immigration judges. Interns will have an opportunity to draft several decisions that will be taken under advisement by an immigration judge. Interns can expect to complete assignments that may later be used as writing samples. In addition, interns will be able to observe a variety of matters brought before the court. The intern will work under the supervision of the court’s judicial law clerks but will also have substantial interaction with the individual immigration judges. (5) contact information for three references. Please submit application materials and direct inquiries to Melissa Tuttle (melissa.tuttle@usdoj.gov) or Julia Hunter (Julia.hunter@usdoj.gov). You may also contact Melissa and Julie by phone at (253) 779-6020 if you have any additional questions.